Kenya is located in East Africa. Full of beauty, culture, and amazing wildlife, Kenya is a popular destination. From snow-capped mountains and harsh deserts to dense forests and the lush tropical coastline of the Indian Ocean, this versatile and vibrant land is the perfect place for an adventure. 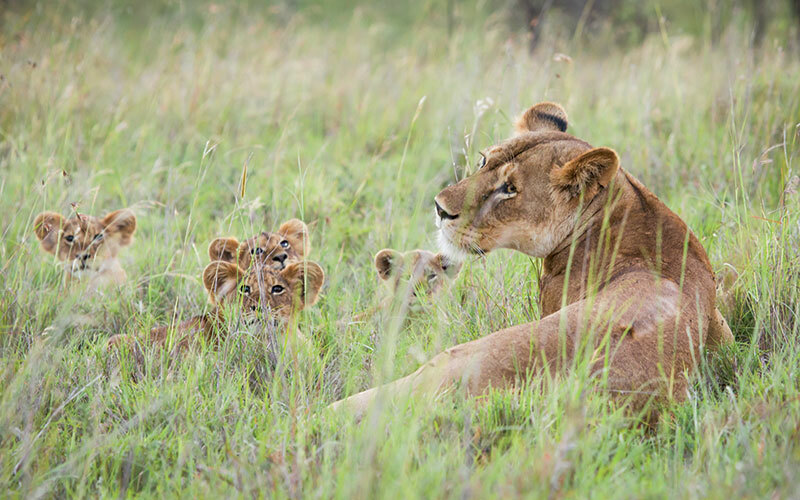 Wildlife is abundant in Kenya, including all of the Big 5: lion, leopard, rhino, buffalo, and elephant! You’ll also find such animals as hyenas, zebras, wildebeest, and many species of antelope (just to name a few). Did you know Kenya is considered a year-round destination for safari? 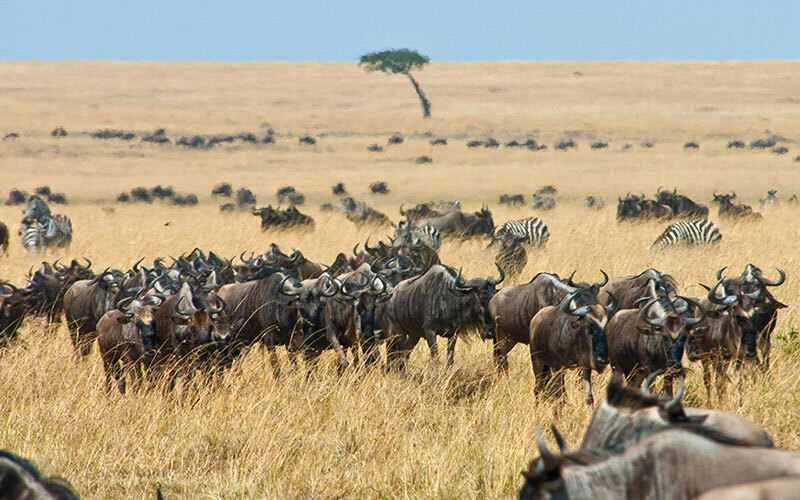 That said, many people choose to visit between June and November to witness the Great Migration of wildebeest and other grazers—one of the greatest wildlife spectacles in the world. Regardless of when you travel to Kenya, it promises to be an unbelievable wildlife viewing experience! While you’re in Kenya, make sure to soak up the culture that surrounds you. 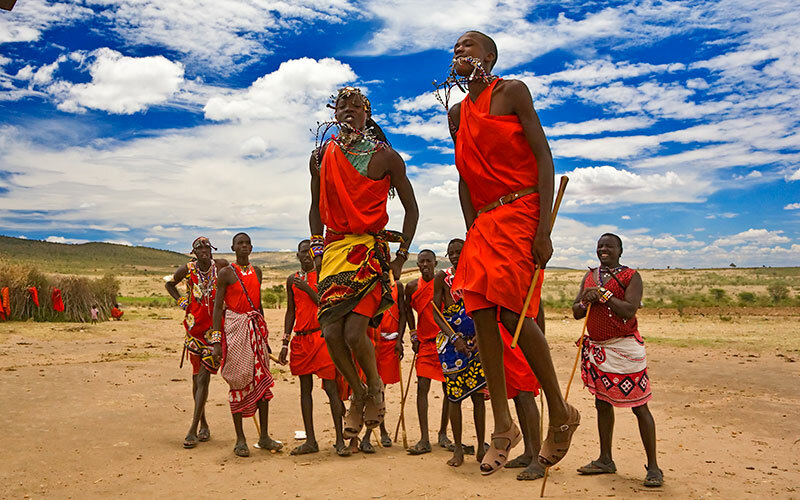 The Maasai, Samburu, Turkana, Swahili, and Kikuyu are all amazing cultures continuing to maintain their traditions as the modern world moves ever closer. You’ll find that there are over 60 spoken languages in Kenya and many people speak more than one. With beautiful culture usually comes delicious cuisine. Kenyan cuisine stresses freshness: veggies like kale, cabbage, tomato, beans, and potatoes are commonly used, as well as beef and goat meat. You’ll find fresh fruits on most any table, including mangoes, oranges, pineapples, and bananas. Are you hungry yet? Want to discover the magic of Kenya for yourself? Browse our handcrafted Kenya safari packages or give us a call at (888) 367-0933!